A beautifully presented gift perfect for a Dad. Perfect for his birthday, or just because, this wine and Pate gift set will delight his taste buds. 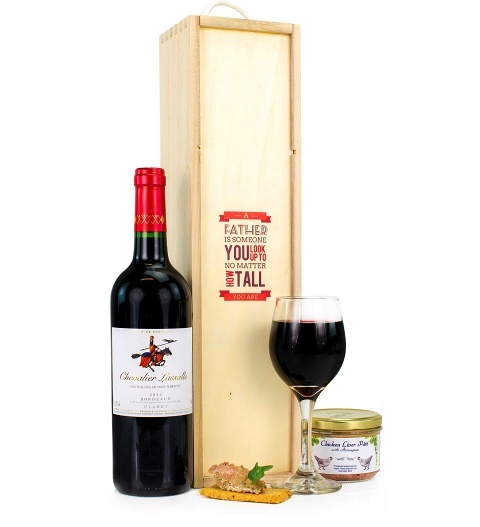 Presented in a wooden wine crate, this hamper is available for UK next day delivery.